To hold something as true. Example: I accept she may have been tired, but that's still no excuse. To receive something willingly. Example: I accept this award on behalf of the whole cast. To answer yes (especially to an invitation). Example: The minister would love to accept the invitation to your ball, but she has a prior engagement. 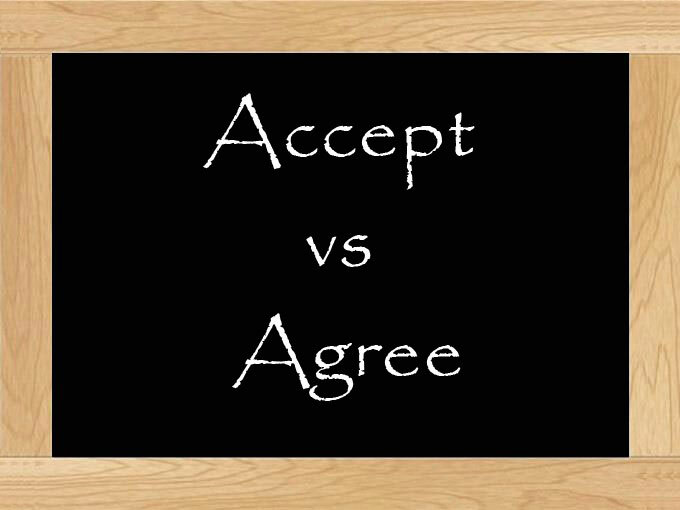 Accept is not possible in this case.